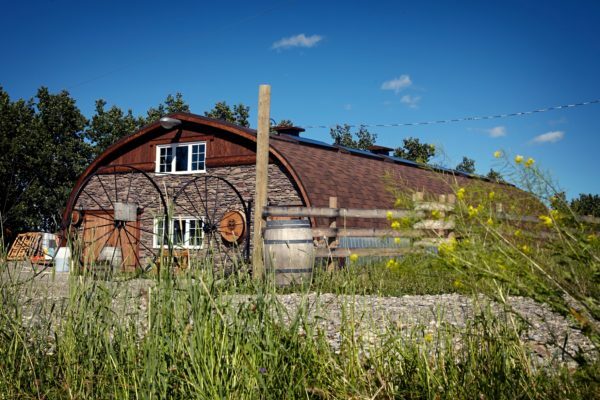 The following is a listing of Alberta’s current cottage wineries. 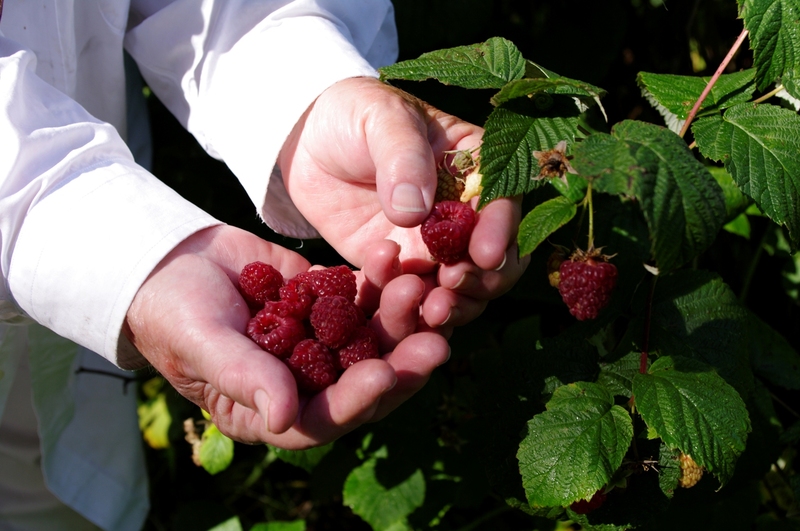 Berries are most commonly used to make wine in Alberta, including raspberries, strawberries, various kinds of cherries and saskatoons. You can also find wines made from apples, rhubarb and even alfalfa. A few operations are devoted solely to honey wine (mead). No one makes grape wines in Alberta on a commercial scale, as wine grapes (Vitis vinifera) simply cannot survive our harsh winters (so far). Several hybrid species of grapes do grow and even thrive here, and many people make their own home brewed wine from them. I’d love to see a cottage winery take a shot at making grape wine. 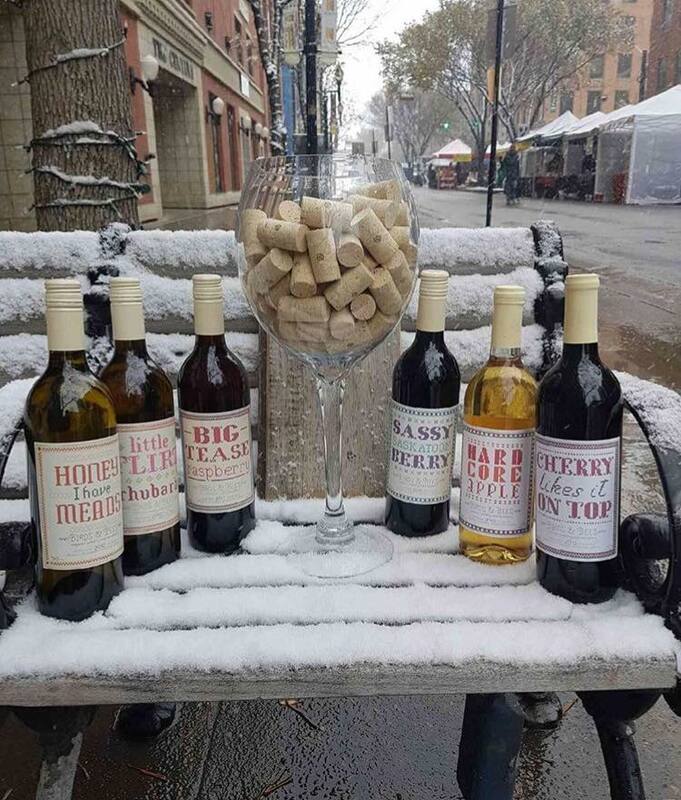 You can find Alberta fruit wine and mead at smaller, specialty wine shops. Many cottage wineries sell their wares at various farmers’ markets around the province, as well as from the farm gate. Check out their websites to track them down. The closest winery to Edmonton, Barr Estate was founded in 2010 by Rick and Amy Barr, a pair of University of Alberta medical researchers who decided to become winemakers. They teamed up with Amy’s parents, Mike and Jeanette Cholowsky, who invested in their business and donated the seedlings that were used to plant their orchard. After holding steady for a few years with their original pair of wines, Barr Estate is currently experimenting with some new fruits to expand their line-up. This was the second winery to open in the province, and currently the only certified organic winery here. Originally named en Santé, the winery was started in 2005 by Victor Chrapko, a former hog farmer who had converted his operation to an organic fruit orchard and U-pick back in 1999. 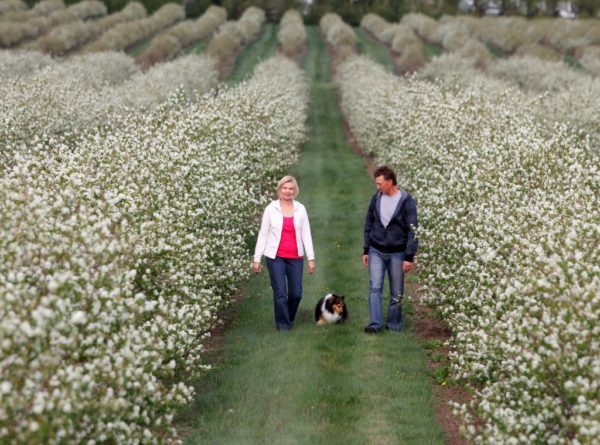 Chrapko and his wife, Elizabeth, lobbied the government for six years to get the legislation changed to allow cottage wineries. Their daughter, Xina, currently runs the winery operation, which re-branded to Birds and Bees in 2011. It’s a funny-looking berry with a funny-looking name, admits Kreg Alde, but haskap berries are uniquely suited to a northern climate. Alde started his haskap orchard in 2012 on the same land that his great-grandfather homestead back in 1926. 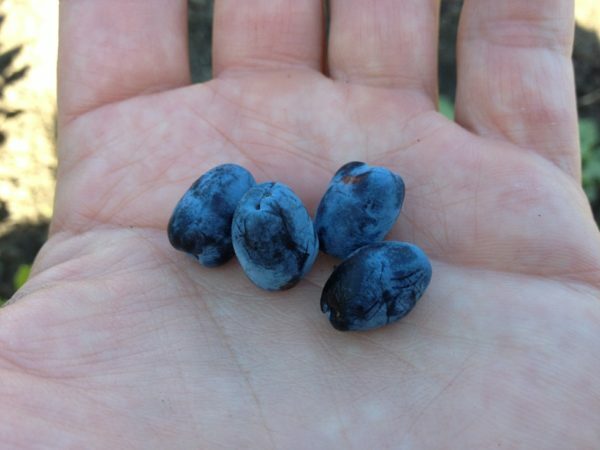 With a flavour similar to huckleberries, haskaps have great potential as a new commercial crop. Broken Tine has created a few foods using haskaps, including a honeyberry cheesecake made by Foothills Creamery, as well as a haskap mead. They also partnered with Grain Bin Brewing in Grande Prairie to make a haskap stout. 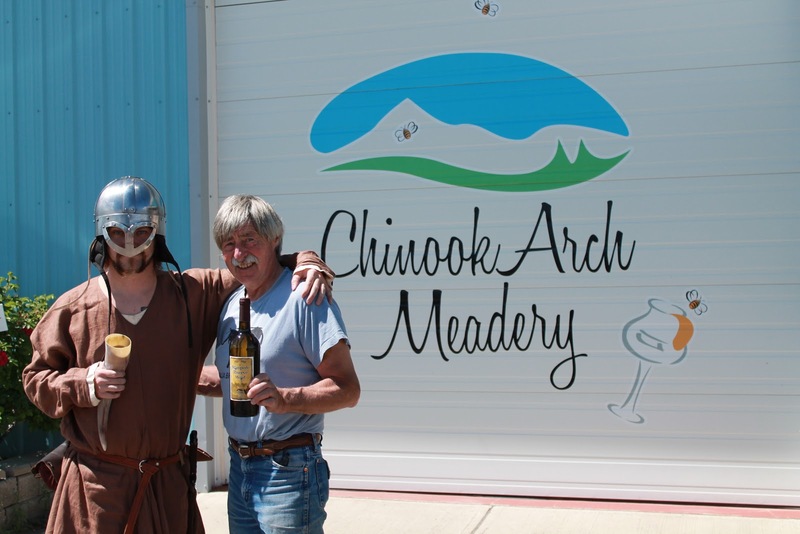 Chinook Arch is Alberta’s original meadery, founded in 2008 by Cherie and Art Andrews. They sell mead and pretty much every other bee-related item you can think of: honey, pollen, propolis, royal jelly and various bath and body products. They host events out at their farm, including their annual Viking festival, a celebration of mead as the ancient beverage of choice for Viking warriors – complete with battle re-enactments. Hives at the foot of the mountains: the Ryan family established a farm and its first beehives back in 1969 in the foothills of the Rockies. This gives their bees access to the many wildflowers that cover the hills, but limits their exposure to the croplands in the east (many of which are sprayed with pesticides). 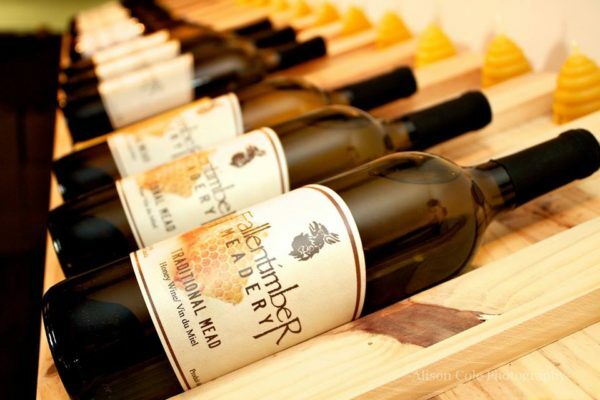 The meadery was established in 2010 by brothers Colin and Nathan Ryan. After beginning with just a couple different styles, they’ve since expanded to a robust product line-up that includes forays into session meads, a carbonated hybrid between beer and traditional mead. Starting a winery as a retirement project sounds like a great idea – if you don’t mind not actually retiring! Marci and Larry Heck built up their orchard for the last 10 years and launched their winery with an ambitious lineup of eight different single-variety fruit wines. They hope to add two more types in 2017, plum and crabapple. 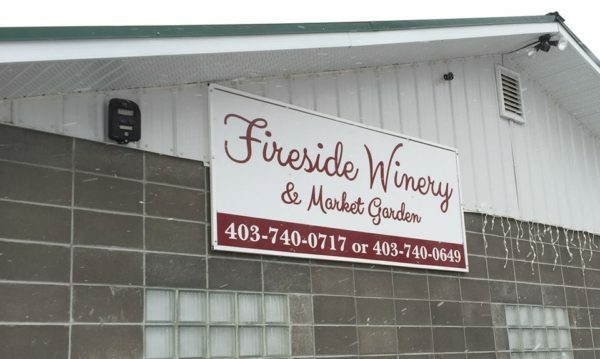 Located just northeast of Stettler, Fireside is well situated for winery tours and they hosted quite a few of those last summer and hope to do more this year. 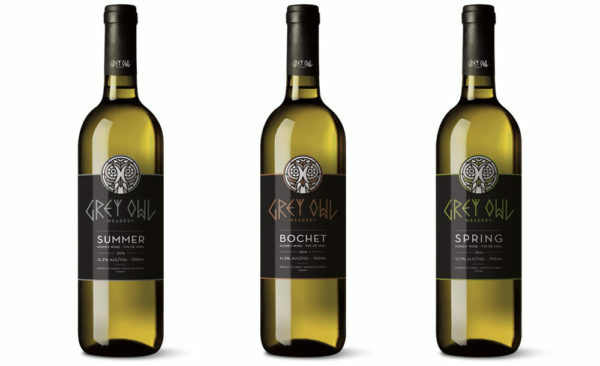 A radio segment on Alberta’s cottage wine industry planted the seed in Arleen Schwengler’s mind, which later sprouted into Grey Owl Meadery. As she and her husband, Walter, were approach retirement age and looking to leave their careers in the oilfield, they decided to get into beekeeping and winemaking. Together with their son Caleb, they began learning the trade and formed Grey Owl Meadery. They’ve released three meads so far, with another two in the works. Art Lipon is a man of many visions. 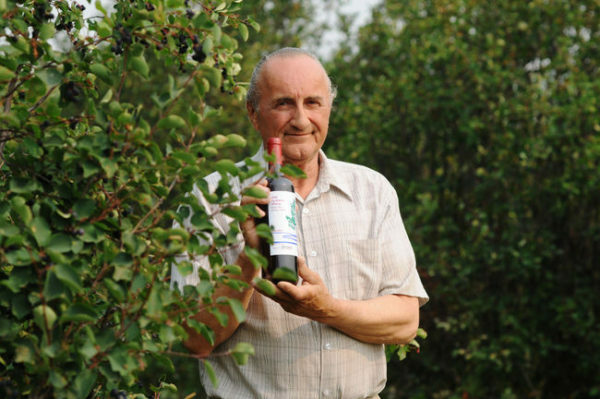 The former high school teacher set up his small fruit winery in 2013 on the west side of Saskatoon Lake in Grande Prairie, where a unique microclimate allows the fruit to thrive in the far north. He immediately began dreaming big – tapping into the overseas market, expanding to spirit distillation. While he hasn’t made any progress on the former, he’s in the process of setting up a distillery. He hopes to use his grandfather’s recipes to make gin, vodka, fortified wine and a grain-fruit home brew. 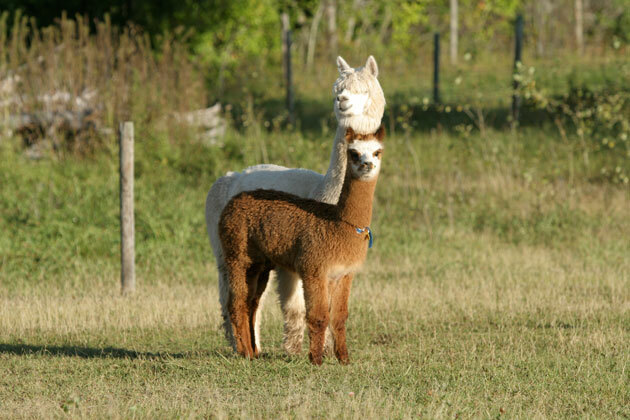 This cottage winery has one thing that clearly sets it apart from the rest: alpacas. Founder Daniel and Edith Zrdodowski started winemaking as a value-add to their U-pick operation. They also tend alpacas on their small family farm (“They’re cute,” Daniel says, explaining why they chose alpacas over other livestock.) So far they’ve got a pair of wines for sale and will be expanding the line-up shortly. Straddling the line between mead and fruit wine, Spirit Hills winemaker Hugo Bonjean makes his wine using traditional techniques, such as fermenting the entire honeycomb and incorporating various local fruits and botanicals. A native of Antwerp with a family that includes several generations of French winemakers, Bonjean has built a beautiful tasting facility in the foothills of the Rockies.